Snow Jobs for Everyone! | Nicole, Deipnosophist. As winter storms have gripped much of the midwest, my little corner of the world is faring well. It’s not a Nor’easter, but it’s a lot of snow for Hoosiers unaccustomed to more than a couple of inches every once in a while. The snow alternated with freezing rain. Coupled with frequent plowing, a three and a half foot wall of ice blocked the end of the driveway. Luckily I had the forethought to bring work home with me and was able to accomplish some stuff. 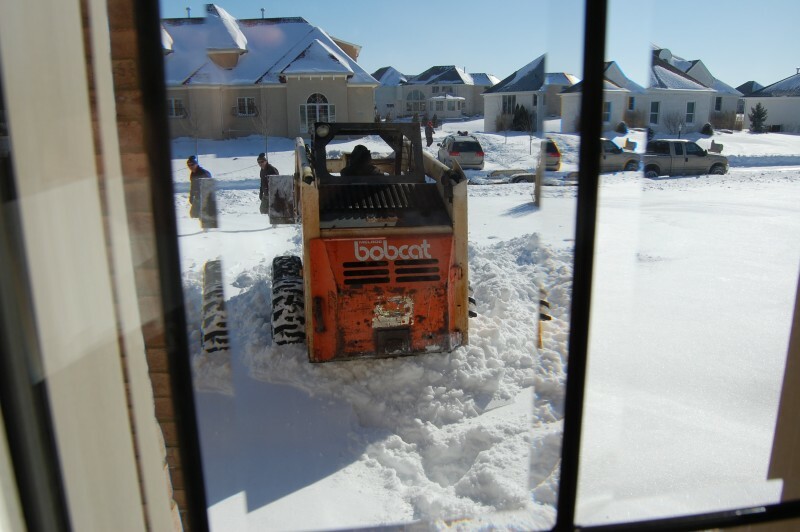 Just as the fun, cozy feeling of being snowed in was transitioning to cabin fever, the doorbell rang and we were rescued by a couple of guys making a killing with their Bobcat. 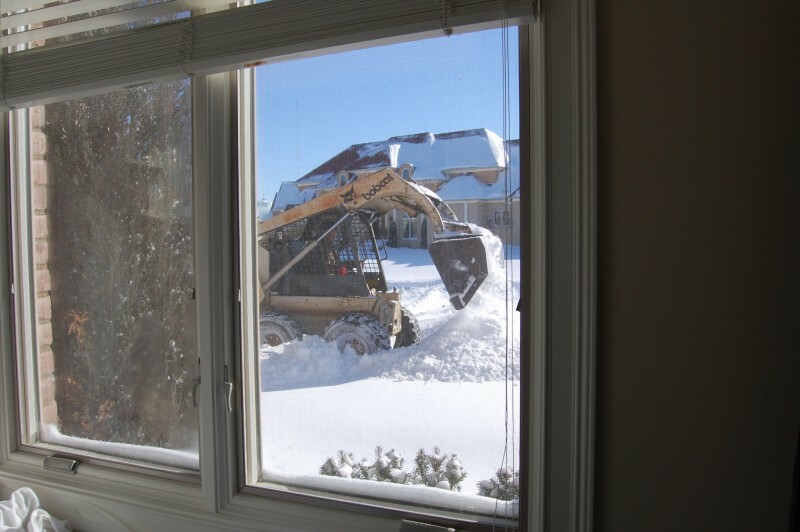 Please note in the picture to the right that the neighbors across the street were unable to ram through the snow/ice wall…with their minivan. You can see how far the vehicle went. Uh, I guess that thing isn’t AWD, folks. The snow is glittering beautifully in the sun. It sure is pretty…from INDOORS. I spent three hours shovelling today. I still haven’t ventured out, because the streets in my subdivision are crap and I don’t want to get stuck. Unfortunately my PT is well-suited for deep show… makes me wish I had one of my folks’ snowmobiles.